*I received products from Oriental Trading Company in exchange for my honest review. All opinions are my own, and I only endorse products I use and love. I’ve also included my Affiliate links for both Oriental Trading Company and Amazon, if you would like to purchase any of the products. There is no additional cost to you, and I will earn a commission. Please see my Disclosure Policy for full details. One of my boys’ favorite books of all time is The Very Hungry Caterpillar by Eric Carle. As babies, those bright, colorful pictures mesmerized them. As toddlers, the cute story with all of the food pictures kept them entertained. Now, as 5-year-olds, they love that they can almost read the story themselves. 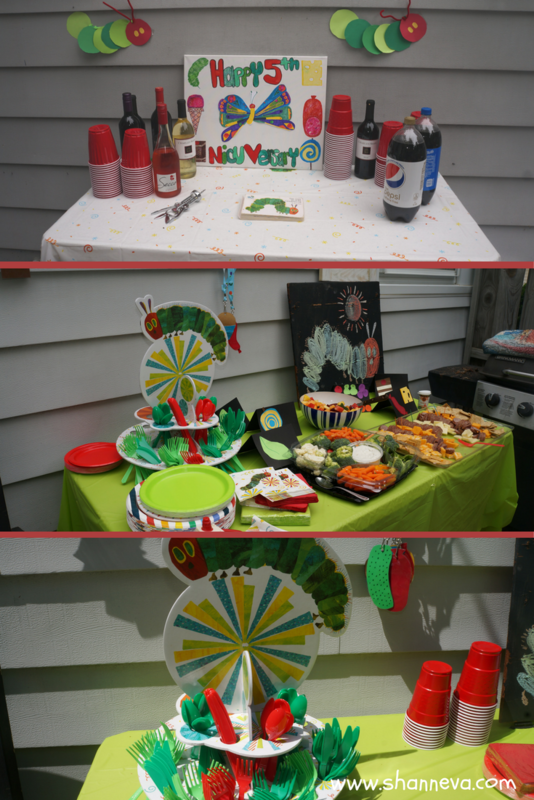 Since you know I love a great theme, a Very Hungry Caterpillar Inspired party seemed like the perfect way to celebrate their 5th NICUversary. I also love to throw a party on a budget, so when Oriental Trading Company asked if I would review some of their items in exchange for my honest review, I jumped right on it. I love shopping for party supplies on their site. They always have unique decorations, offer great quality products, and shipping is often free. 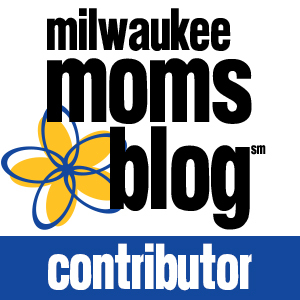 I’ve used their products for many of my past parties, so I was excited for this opportunity. In addition to items I received from their site, I also made a some of my own decorations. Even though they may not look professional, I love doing crafts. It’s a bit of a creative release for me, and I feel it makes the party feel more personal. 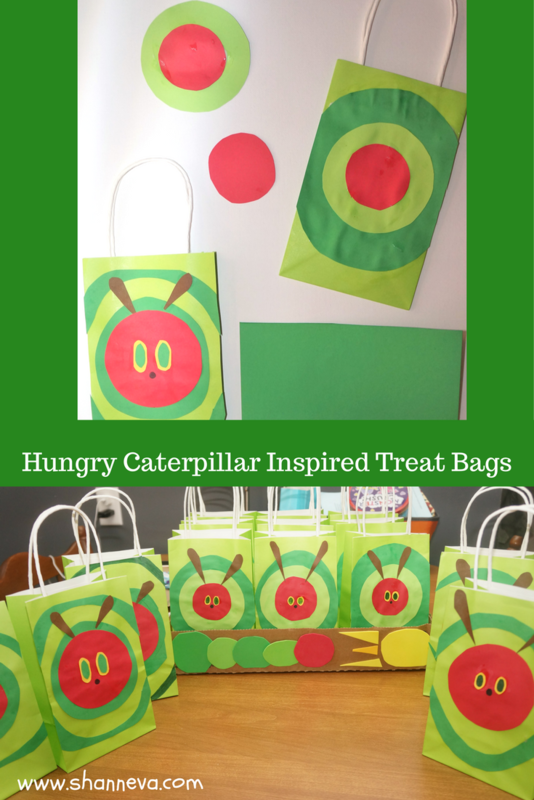 So, I wanted to share some of my ideas on how to throw a Very Hungry Caterpillar inspired party, and some of the great products I used. I think it’s such a cute theme for a boy or a girl of any age. To purchase any products, simply click-through the pictures. It will take you through my Affiliate link. Please see Disclosure Policy for more information. If you’ve never read the Very Hungry Caterpillar to your kids, I highly recommend it. We have both the board book and a soft-cover version. I put the board book right out on the drink table, for anyone unfamiliar. Before I share all my party planning tips, let’s talk party prep. I usually decide on a party theme pretty far in advance. You can read all about my tips for picking a theme right HERE. If you plan ahead, you can usually save quite a bit of money, and you won’t be rushing around last-minute, adding more stress. So, I had all of my party supplies ordered a few months ago, and then just picked up so last-minute additions the week before. Things like colored plasticware, tablecloths, treat bags, and some scrapbook paper were all found at one store, and then I was ready to put everything together. I worked on the decorations at night mostly. It’s very hard to craft with three wild boys, so once they were in bed, I got to work while catching up on my favorite Netflix shows. I did let them help a little bit. 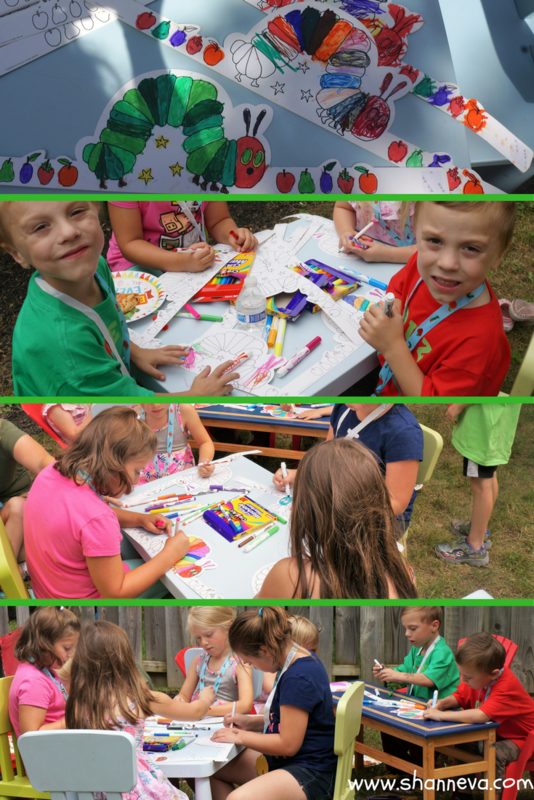 They really enjoyed coloring butterflies, cutting out circles, and making a big mess. We usually have our parties mid-afternoon. It’s easier on the budget when you don’t have it during mealtime. Although, we did order a few pizzas, but then we just had appetizers and cake. Our families were also nice enough to bring some food and drinks. One word of warning…the kids will not be able to wait for the party. At all. Seriously. About every 5 minutes, one of the twins would ask when the guests were arriving. I repeatedly told them 1pm, but since they can’t tell time, it really made no difference. Let’s just say a lot of bribery went on while trying to clean-up the house and decorate. And by bribery, I mean snacks and cartoons. Lots of both. Don’t judge. We lucked out with a beautiful day, so we set up everything in our backyard. I like to have something for the kids to do at the party, so I found these awesome party crowns for them to color. I set up a table with markers, and they took turns between running around the yard, playing on the swing set, and coloring. The coloring really kept them quiet…which was awesome. Plus, they all had cute party hats, and something to take home with them. 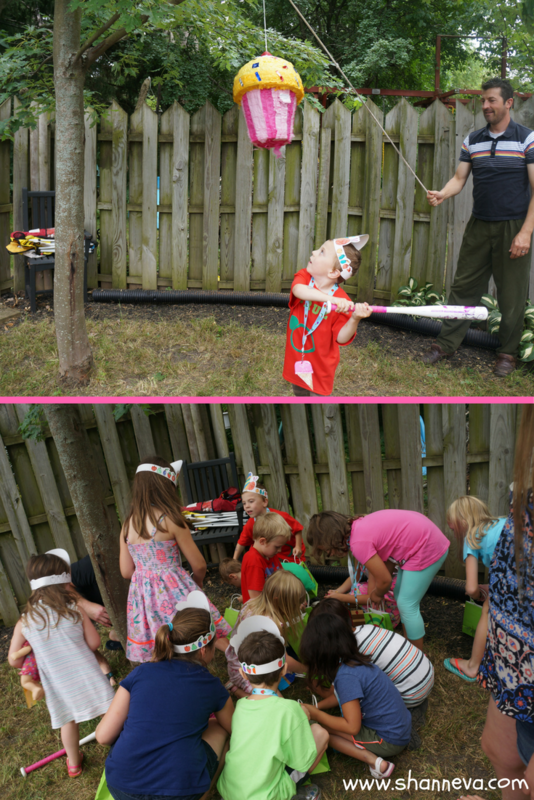 One of our parties can’t be complete without a pinata. I know the parents always count on us to get their kids sugared up right before we send them home. Hee. Hee. 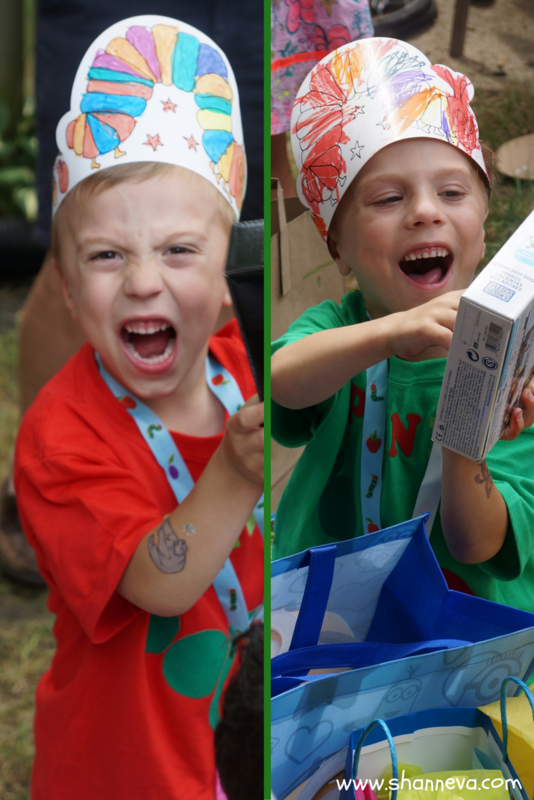 So this Very Hungry Caterpillar inspired party was no different. We let the twins swing first, and then it was girls before older boys. I didn’t realize just how strong my 9-year-old niece was, so unfortunately, none of the other boys got to take a swing at it. After a few tears, my husband re-hung the top, and let them hit at it. It seemed to work. Plus, I had to promise Mr. B he could definitely go first at his own birthday party in a couple of months. We got a cupcake pinata, but I think this Ice Cream cone would be adorable too. Finally, it was cake time. I got our cake from Costco, and it was awesome. Great price and delicious. The only bad part? All the kids screaming me with what color frosting they wanted. It was a little insane. We usually wait and open presents after everyone leaves, so the boys have something to look forward to, but they simply couldn’t wait. As you can see, they loved everything. The first thing I started with was the treat bags. I like to decorate the bags for the pinata candy. 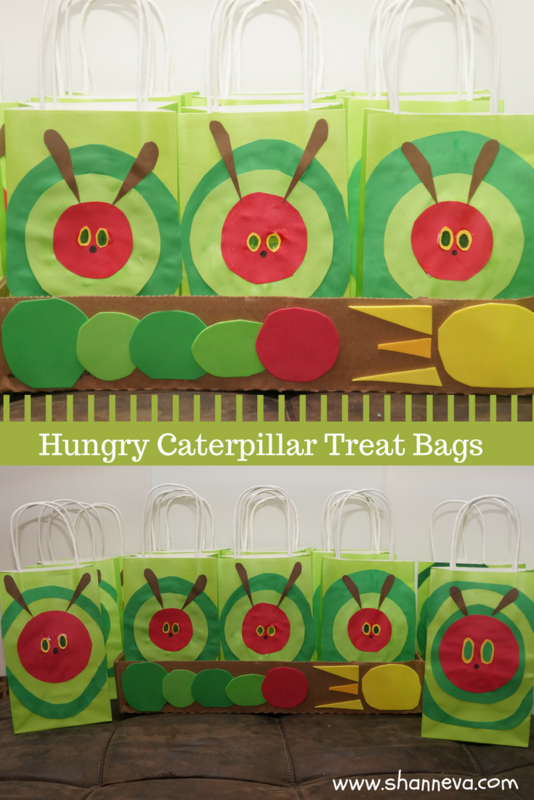 I’ve done Storm Troopers, Dr. Seuss, and Peanuts inspired treat bags, so when I found green bags, I knew exactly what the Very Hungry Caterpillar inspired party bags would look like. It took me a while to find the simplest way to make them, but I finally figured it out by the time I was making the last four. Now, you won’t need to do any trial and error. It’s all about the circles. I cut out a big dark green circle, followed by a smaller light green circle, and finally the smallest red circle for the head. Two yellow ovals for the eyes, colored in green with markers, and some brown antennae to finish them off. Next, I pulled out some baby pictures. I took one from their first birthday, and put it right in the middle of another caterpillar I cut out from scrapbook paper. On one end, I put their birth weight, and on the other I put their current weight. From 1 lb 7 oz and 2 lbs 2 oz to 34 lbs and 40 lbs is pretty darn impressive. I also put some on a poster board, and put a few beach balls in the center. I used to use balloons at our parties, but I’ve read so many scary stories about kids and balloons, that I try to find alternatives now. The beach balls were adorable and perfect. The signs were actually the last thing I made. I started with the NICUversary sign by first drawing a butterfly freehand. I then pasted it to a canvas, and drew some of the food from the book around the edges. For the second sign, I simply traced circles spelling out each of the twins’ names. 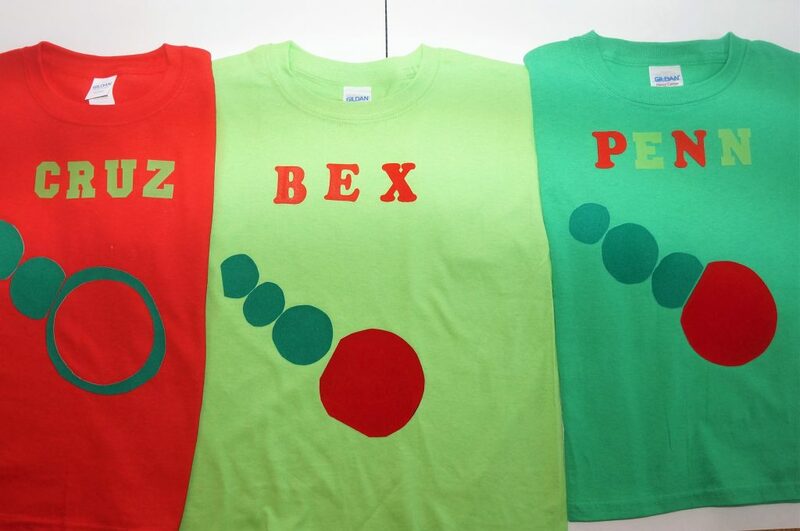 I painted each circle a shade of green, with one end red for the head. I also traced some circles in the center and painted the fruit from the story. Finally, I love to give out some type of party favor. 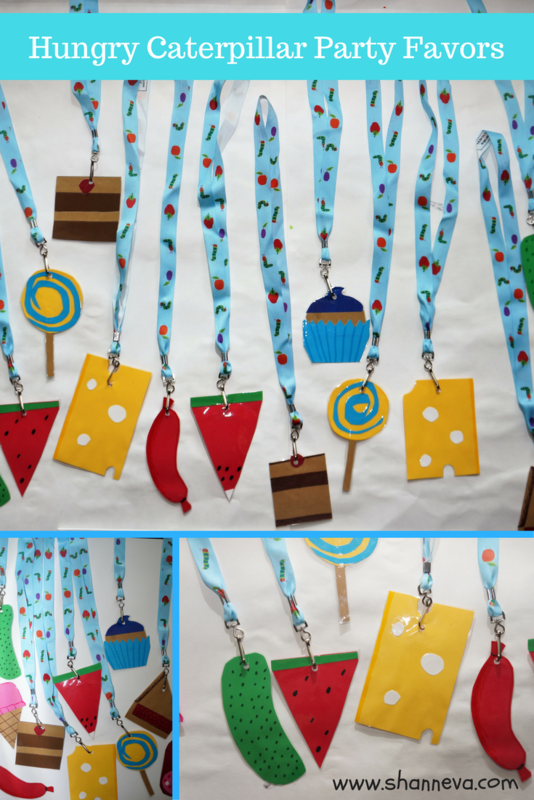 For this Very Hungry Caterpillar inspired party, I got these cute lanyards, and decided to make my own food cut-outs to hang from them. Unfortunately, the lanyards were clearance, so they are no longer available from Oriental Trading Company, but they are on Amazon. Or you could use red and green plain lanyards too. I cut the food from scrapbook paper, laminated them, and punched a hole in the top to attach them. As for the table tops, I used a mixture of branded and non-branded items to save some money. On the drink table, I put a Very Hungry Caterpillar table-cloth, but on the food tables, I just used a plain red and green. I also got a set of plates and napkins with the Very Hungry Caterpillar, and then supplemented with plain red and green again. I didn’t remember what the cut-out holder was for, so I filled it with silverware. After looking on the website, I realized I should have filled up the cones with candy or snacks. Oh well. It worked well for the silverware too! 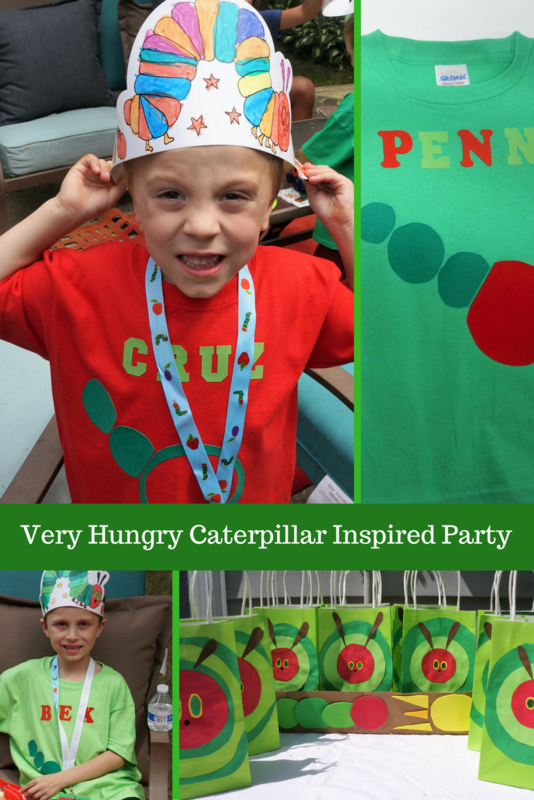 One other thing I totally didn’t remember…the Very Hungry Caterpillar inspired party/gift/swag Bags! I made some for each of the kids, and then totally forgot to hand them out. I guess I was having a little too much fun. Or too much wine. Either way, here’s a look at them anyways. 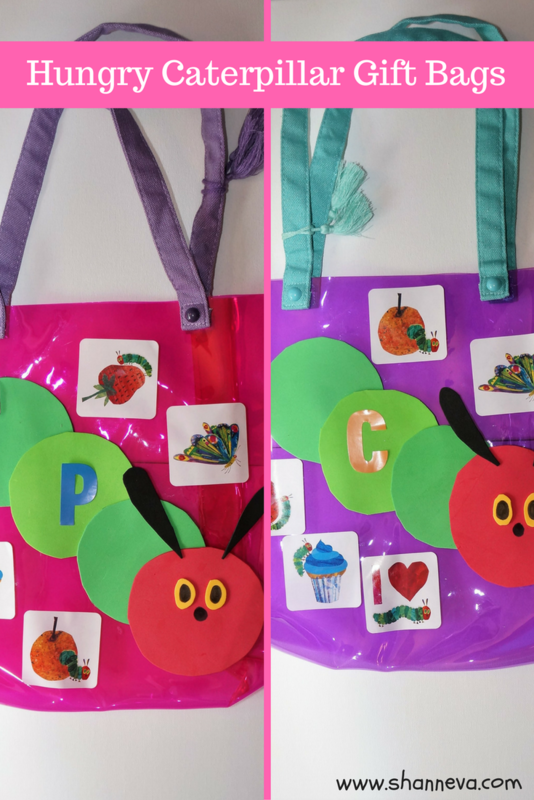 I used some bags I found on clearance, and covered them with stickers, and handmade caterpillars with their initials on them. The stickers came in a giant roll, so they were perfect to stick inside the gift bags too. Besides the big signs and beach balls, I like to add small details throughout. 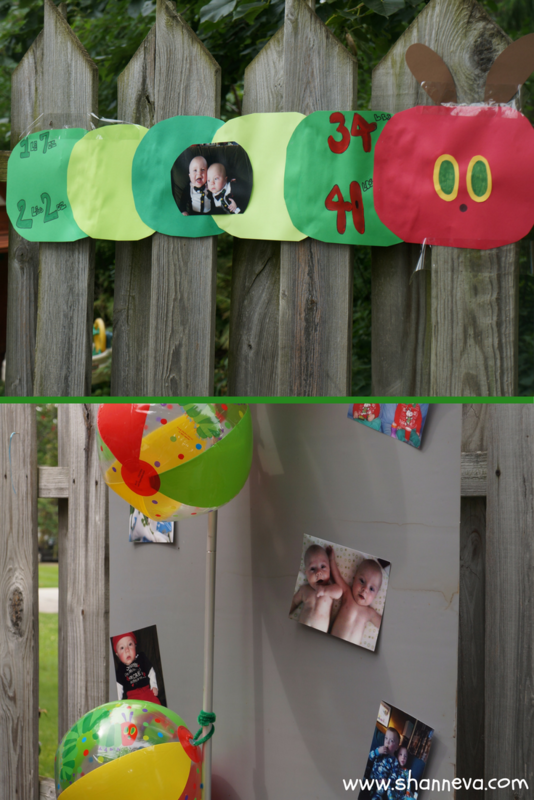 For this Very Hungry Caterpillar inspired party, I put out some of the twins’ old Hungry Caterpillar toys in the backyard, just for fun. I made my boys a personalized shirt for the occasion. Since I’m not great at sewing, I just used some iron on letters and fabric. I think they turned out pretty good. I also wanted to paint my fingers all green and my thumbs red, but I ran out of time. I think that might be a fun activity if you have lots of girls at the party…or boys too. My twins love to paint their nails. Even though I don’t like latex balloons, I don’t mind the mylar kind. I picked up two butterflies and two cupcakes from the Dollar store, which was perfect. Overall, it was a wonderful afternoon, spent with great friends and family. The twins had a blast, and I think everyone else had fun too. 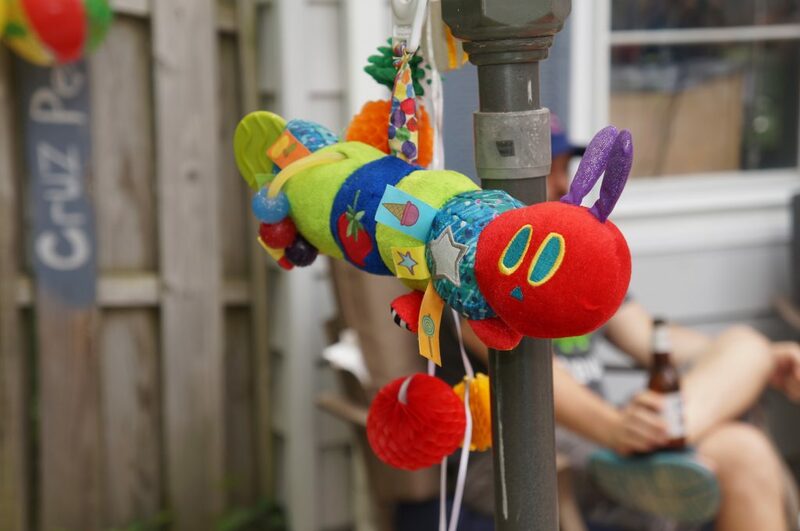 Thank you so much to Oriental Trading Company for providing me with such cute decorations and inspiration for our Hungry Caterpillar inspired party. I will definitely be reusing and repurposing almost everything. And thank you to my Sister-in-law for taking some great pictures while we were having cake and opening presents! 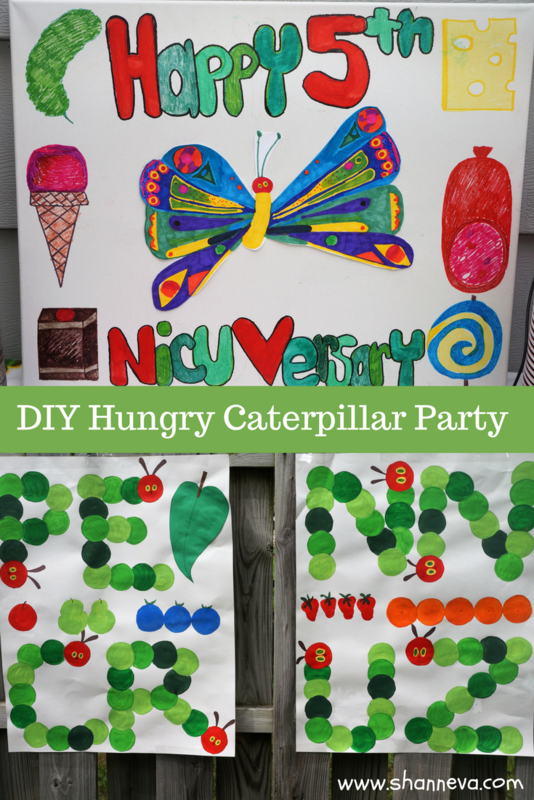 Have I convinced you to throw a Very Hungry Caterpillar inspired party? Where’s your favorite spot to shop for party stuff? What a fun party idea! I love that book, it is a great theme and you got some great materials to throw the party with! So fun! I love this party idea! It’s perfect! This is such a fun idea. 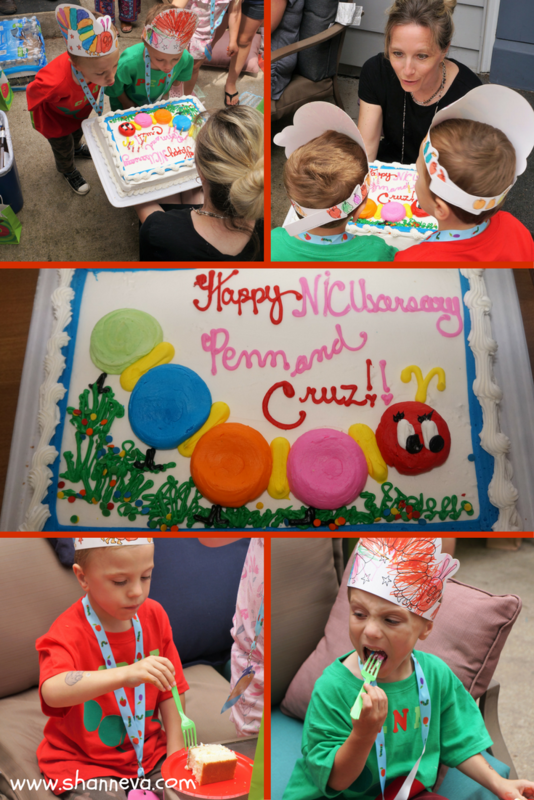 When I taught K4, we did a Very Hungry Caterpillar unit study and the week culminated in a party. We had a lot of fun and some great activities, but I wish I had this article back then. This book was huge when I was a kid. I can’t believe it’s still going strong! I love the decor you made for the party. Super cute! This is the cutest party ever! I love it! Hope they had a blast! 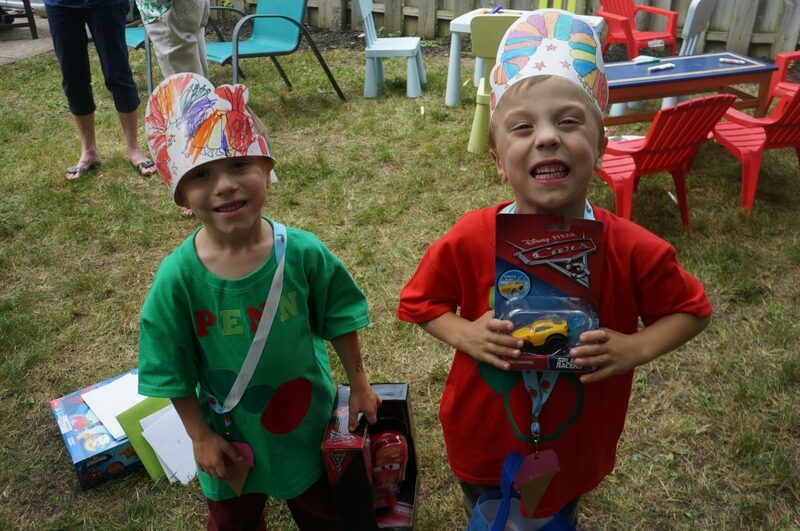 It looks like you had such a great time planning this party and your kids enjoyed it too! What an adorable theme! I loved that book as a kid. Thank you for sharing these sweet photos. What a cute and creative idea! Those little gift bags are so adorable! What a cute party! I love all of the details! Aw, I love all these details. This is such a fun book – and a lovely theme for a party. It looks like the boys had a blast. My kids loved that book! Those treat bags are really cute.